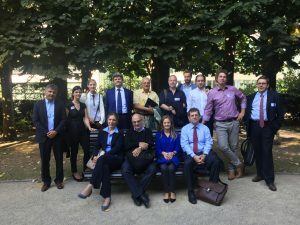 On 12 September 2016, eleven representatives of the FIRES consortium came to Brussels for a mid-term review of the project. During this one-day event, the work package leaders presented the progress achieved in their work packages in the first year of the project implementation and elaborated on further specific questions received from the reviewers and the project officer. The review was very intense, focusing on scientific details of the project as well as making some more general recommendations which resulted in a very fruitful meeting. FIRES project was evaluated very positive in this mid-term review and the consortium is very motivated to continue with the project to fulfil the high expectations.